Cocoon Series (2001-14), site specific installation, and Gothic (2018). 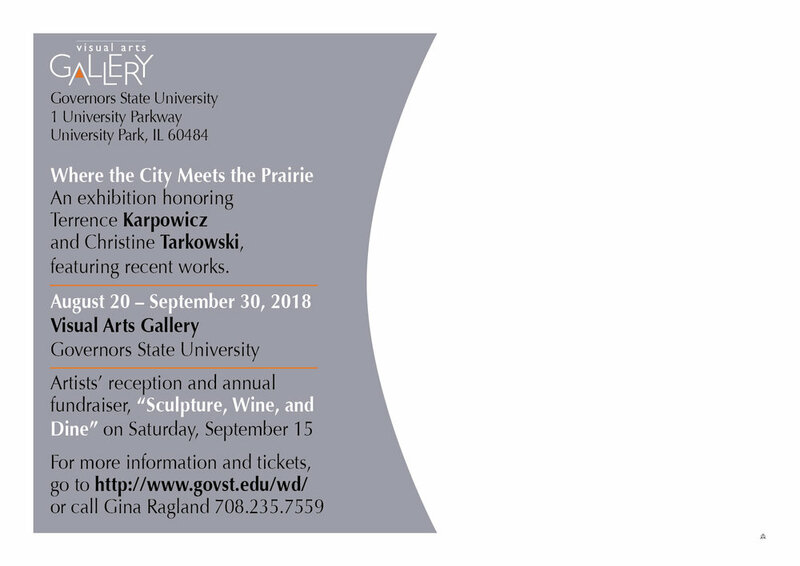 Where City Meets the Prairie exhibition at Governor’ State University. Madonna with Train can be viewed at Oaktons' Community College's Sculpture Garden. Read more about it, here. Finish Line, available for view at 2108 N. Clark. 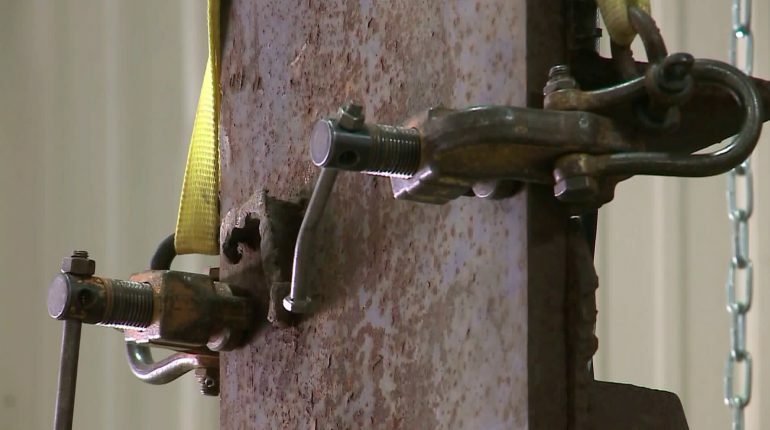 The beam that had been given to the CFD by the Fire Department of the City of New York (FDNY) about four years ago is set to become the center price of a new sculpture by T. Karpowicz. Read the details as it aired on May 3, 2018, here. Read about the funding efforts for this commissioned work, here. 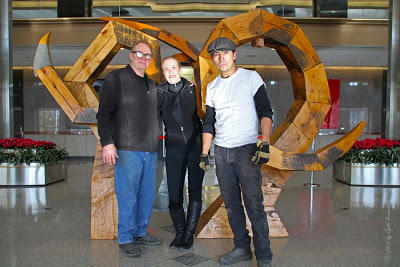 art @ IIT, Illinois Institute of Technology, will host the largest exhibit of work by sculptor Terrence Karpowicz to date. INDIANAPOLIS, Ind. 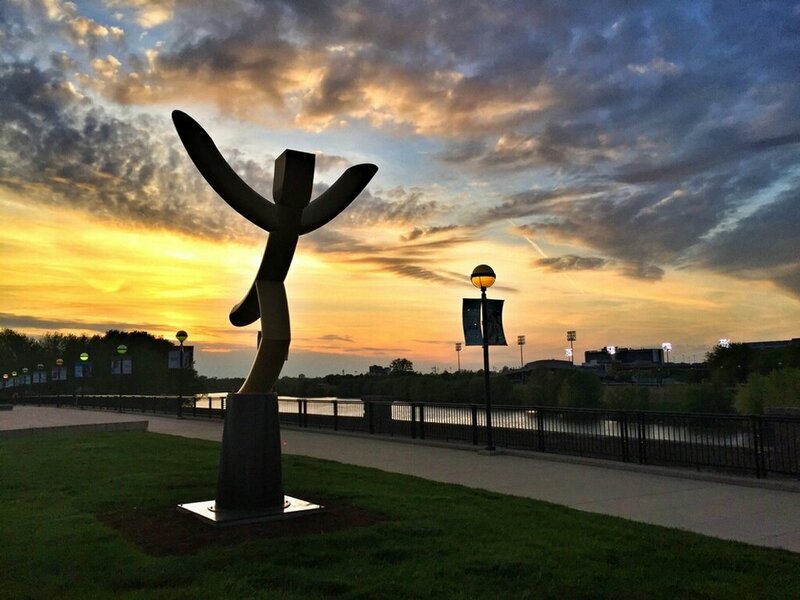 — Finish, a sculpture embodying the drive to achieve goals has been added to the collection of public art along the historic Washington Street Bridge in White River State Park. Read more about it here. CHICAGO – The Chicago Sculpture Exhibit is pleased to announce that the final piece in the installation of 50 large-scale sculptures will take place on Tuesday, August 15, 2017 at 10:30 am at 846 West Fulton Market Place. Art Arc (1981) was a gift of M.A. Lipschultz to Nathan Manilow Sculpture Park Governors State University (for a PDF, click here). Colored images of Art Arc below. Zen Moment, acquired by the Steve and Debbie Mueller collection.